“A sleep disorder, or somnipathy, is a medical disorder of the sleep patterns of a person or animal. 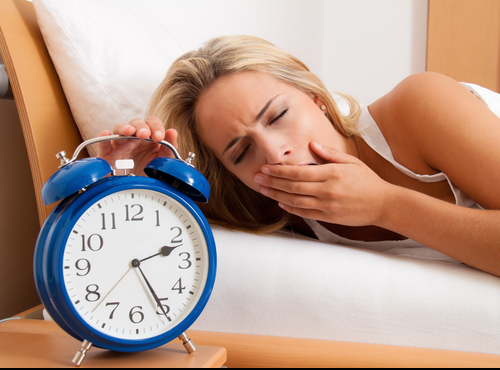 Some sleep disorders are serious enough to interfere with normal physical, mental, social and emotional functioning. Disruptions in sleep can be caused by a variety of issues, from teeth grinding (bruxism) to night terrors. When a person suffers from difficulty falling asleep and/or staying asleep with no obvious cause, it is referred to as insomnia. According to the Centers for Disease Control and Prevention “Sleep is increasingly recognized as important to public health, with sleep insufficiency linked to motor vehicle crashes, industrial disasters, and medical and other occupational errors.Unintentionally falling asleep, nodding off while driving, and having difficulty performing daily tasks because of sleepiness all may contribute to these hazardous outcomes. Persons experiencing sleep insufficiency are also more likely to suffer from chronic diseases such as hypertension, diabetes, depression, and obesity, as well as from cancer, increased mortality, and reduced quality of life and productivity.1 Sleep insufficiency may be caused by broad scale societal factors such as round-the-clock access to technology and work schedules, but sleep disorders such as insomnia or obstructive sleep apnea also play an important role.An estimated 50-70 million US adults have sleep or wakefulness disorder. Notably, snoring is a major indicator of obstructive sleep apnea. Research done at the University of Madrid Medical School in Madrid Spain and the Department of Health Sciences at the University of Jaen Spain, Plaza-Manzano (2014) and fellow researchers found a link between sleep disorders and chiropractic care. They were studying manipulation, or what chiropractors do when we adjust our patients and the cause for eradication of pain. They concluded that certain neuropeptides, or transmitters in the brain increase when our patients get adjusted. The specific neurotransmitter is called Orexin and is commonly known in medical terms as hypocretins. According to Ebrahim (2002) and fellow researchers “have an important role in sleep and (mental) arousal states. They state, “The hypocretins are thought to act primarily as excitatory neurotransmitters…suggesting a role for the hypocretins in various central nervous functions related to noradrenergic innervation, including vigilance, attention, learning, and memory. Their actions on serotonin, histamine, acetylcholine and dopamine neurotransmission is also thought to be excitatory and a facilitatory role on gamma-aminobutyric acid (GABA) and glutamate-mediated neurotransmission is suggested” (p. 227). If we focus simply on serotonin, that is responsible for mood, appetite and sleep and regarding the latter effects many sleep patterns if imbalanced or depleted. A chiropractic adjustment has proven to increase the orexin or hypocretins in the human body, which has a direct effect on the production of serotonin in the human body. Serotonin has been known for many years and recognized in the scientific literature for playing a role in the modulation of sleep. Although more research is still needed to quantify the results, this now gives a verified scientific explanation to the results chiropractic patients have been experiencing over the last century. As with all of my articles from here forward, I would like to leave you with a last and seemingly unrelated statement. I felt it was important to add this at the end since many of our critics negatively portray the safety of chiropractic care. This statement shall put that to rest leaving only personal biases left standing. Whedon, Mackenzie, Phillips, and Lurie(2015) based their study on 6,669,603 subjects and after the unqualified subjects had been removed from the study, the total patient number accounted for 24,068,808 office visits. They concluded, “No mechanism by which SM [spinal manipulation] induces injury into normal healthy tissues has been identified”(Whedon et al., 2015, p. 5). This study supersedes all the rhetoric about chiropractic and stroke and renders an outcome assessment to help guide the triage pattern of mechanical spine patients. Plaza-Manzano, G., Molina-Ortega, F., Lomas-Vega, R., Martinez-Amat, A., Achalandabaso, A., & Hita-Contreras, F. (2014). Changes in biochemical markers of pain perception and stress response after spinal manipulation. Journal of Orthopedic and Sports Physical Therapy, 44(4), 231-239. Ebrahim, I. O., Howard, R. S., Kopelman, M. D., Sharief, M. K., & Williams, A. J. (2002). The hypocretin/orexin system. Journal of the Royal Society of Medicine, 95(5), 227-230.